Ranked #2 Small City in the World in the 2017 Conde Nast Readers’ Choice Awards, you’re smart to spend more than a day exploring Victoria, BC. Clipper Vacations partners with more than 20 hotels in and around downtown Victoria to provide a wide array of Victoria hotel package deals. We even offer a best price guarantee on Victoria hotel prices! Please note that our expert travel agents can customize any of our packages to fit your transportation, hotel or duration of travel needs to tailor the perfect trip! Travel from downtown Seattle to downtown Victoria on our sleek, high-speed Victoria Clipper ferry and explore British Columbia's capital city! Exploring the iconic The Butchart Gardens is an absolute must-do in Victoria! Experience one of our most popular packages with a Victoria overnight getaway and immerse yourself in 55-acres of floral splendor at the world-renowned Butchart Gardens. Escape to the City of Gardens with an overnight getaway from Seattle to Victoria with The Butchart Gardens & Butterfly Gardens. 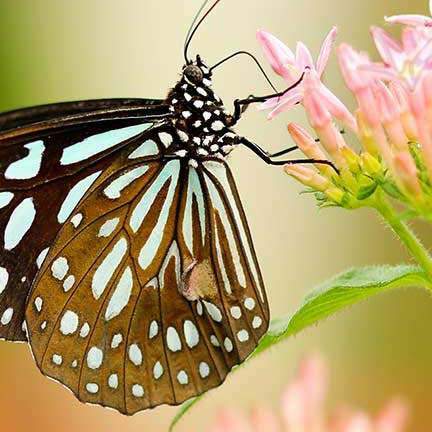 See more than 70 different species of butterflies take flight and stroll through 55-acres of floral splendor. Indulge in an experience steeped in tradition with tea at the Fairmont Empress Hotel on an overnight getaway to Victoria, BC. Cozy up in the Empress’ striking Lobby Lounge and sip on 21 of the finest loose leaf teas paired with delicious treats. Combine your visit to beautiful and historic Victoria, BC with a visit to the Royal BC Museum. With fun and fascinating exhibits about BC’s culture and natural history, the museum is the perfect place for kids and the young at heart to play and explore! Experience the ultimate Pacific Northwest getaway! Hop on the sleek, high-speed Victoria Clipper ferry for a scenic cruise one way and fly through the skies via Kenmore seaplane the other way for two unique travel experiences in one overnight vacation! Surround yourself with thousands of colorful blooms and indulge in two quintessential Victorian traditions with an award-winning tea at The Butchart Gardens during an overnight getaway to Victoria. Catch sight of resident orcas, minke and humpback whales and more as you cruise through the Salish Sea on a Victoria whale watching tour! After a day on the water, enjoy an overnight stay in the city and check out the downtown core. Experience Vancouver Island’s world-renowned burgeoning wine region with an overnight getaway to Victoria and a wine tasting tour of Cowichan Valley. Sip award-winning vintages at three boutique wineries and chat with local winemakers. Relax in ultimate comfort and style with a Victoria, BC romance package at the majestic Fairmont Empress Hotel. Delight in romantic touches such as breakfast in bed, a full bottle of Bottega prosecco, tea macaroons, pate de fruit and a late checkout. Rejuvenate with a luxurious stay at the Fairmont Empress! Enjoy a relaxing spa treatment (your choice of three options), access to the spa’s Finish-style mineral pool and sauna and a delicious breakfast at the iconic, historic hotel. Surprise your loved one with a romantic getaway to Victoria, BC and stay at Hotel Grand Pacific! Treat yourselves to luscious chocolates, sparkling wine, turn down service and your choice of breakfast in bed or a buffet breakfast for two. Sweep that special someone off their feet for an unforgettable weekend getaway at the Inn at the Laurel Point. Enjoy a round trip Victoria Clipper ferry ride from Seattle to Victoria, sweet treats, sparkling wine, waterfront views and breakfast in bed. Fly through the trees high above the forest floor on a ziplining adventure on an overnight getaway to Victoria, BC. Hop on the Clipper for a round-trip cruise from Seattle to Victoria, Adrena LINE Zipline tour and overnight stay in Victoria. Discover one of British Columbia’s amazing hidden gems –Salt Spring Island! Enjoy an overnight getaway to Victoria and a day trip to the rustic Salt Spring Island to explore all this exceptional artist community has to offer! Experience The Butchart Gardens from a new perspective on the Evening Illumination Tour as hundreds of glittering lights transform the 55-acre grounds into an enchanting fairyland. See Ross fountain come to life and watch fireworks flash across the sky. Experience Canada’s spookiest city with a spine-chilling weekend full of eerie and mesmerizing stories of ghosts and paranormal encounters on a haunted getaway to Victoria! It is holiday magic at The Butchart Gardens during their annual 12 Days of Christmas Holiday Lights display. Hop on the Victoria Clipper ferry to travel from Seattle to Victoria and experience thousands of lights, carolers and ice skating at The Gardens! Delight in premier comic book and pop culture goodness with an overnight getaway from Seattle to Victoria to the 2nd annual Capital City Comic Con!